We welcome the community to join us for breakfast Sunday, May 31, 2017 for Solar Breakfast! 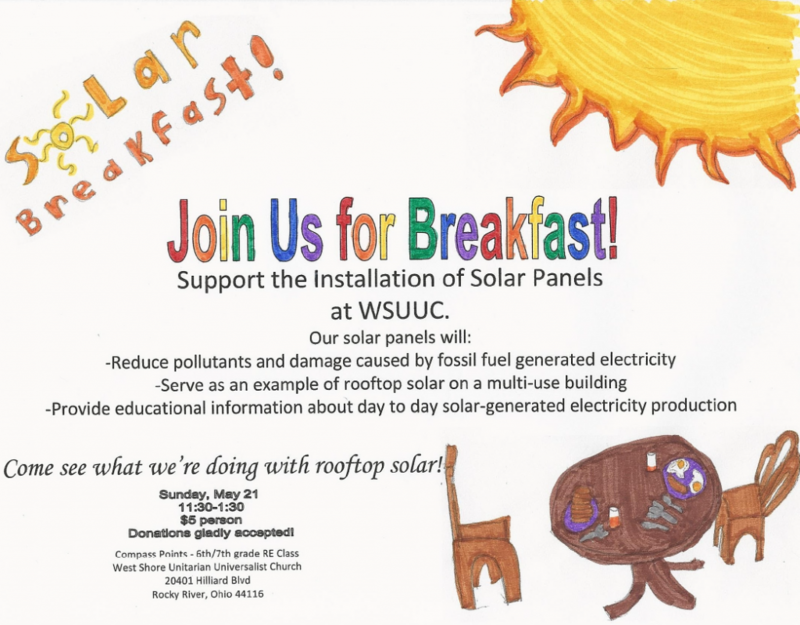 The 6th and 7th grade class at West Shore UUC is holding this fundraising breakfast to raise money to purchase one of the solar panels that will be installed on the roof of the church. The students have been planning this for months. They are looking forward to preparing breakfast for everyone and hope you can attend Sunday in Baker Hall at West Shore UUC from 11:30 – 1:30.